Many people start out running assuming that they need to breathe in through their nose and out through their mouth. That's not the right approach. You should breathe in through your nose AND your mouth to make sure you’re getting enough oxygen. Try to breathe deep from your belly, not your chest. 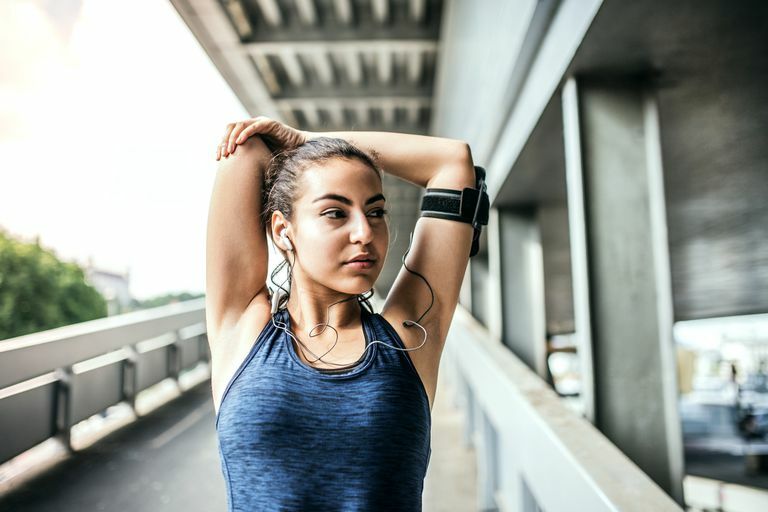 Breathing that way will also help you avoid side stitches, which are often caused by improper breathing while running and are a common reason why runners have to stop or slow down during their runs. Keep your shoulders back and practice good posture. If you’re leaning forward, it’s much harder to breathe and you'll feel winded much sooner. Staying upright will keep your lungs open so you’ll breathe much more efficiently. Stay relaxed and make sure your shoulders aren't creeping up toward your ears. You may be running out of steam because you're going too fast. Keep your pace under control and you'll find that you can go a lot longer. Run at a "conversational pace", which means that you should be able to talk in complete sentences as you’re running. If you find yourself getting out of breath, slow it down. As you build your fitness, you’ll be able to increase your speed. It's more important that you build your confidence and endurance before working on pushing the pace. Keep your arms in a relaxed position. They should be at a 90-degree angle as you're running. Rotate your arms at your shoulders. Try to keep your arms at your side, so they're not crossing over your chest. If you do that, you're more likely to start hunching over. As you pull one arm back, pull the other one forward. This arm movement will help to propel your body forward, so your legs don't have to work so hard. Your arms help lighten your legs' workload, so use them. Many beginner runners find that following a training schedule allows them to build their endurance safely, avoid injuries, and also helps them stay motivated. Checking off workouts as you go along will keep you on track. You'll need to alternate between running and walking, and gradually increase the distance of your run intervals. Sometimes the key to pushing yourself to run longer is simply practicing "mind over matter." If you feel yourself wanting to stop, repeat a short phrase to yourself, such as, "You got this!" or "One foot in front of the other." Before you know, you'll be passing the one-mile mark and moving on to longer distances.